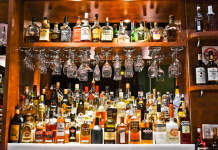 Blue Marlin is a bar and grill where they proudly serve Cayman cuisine. 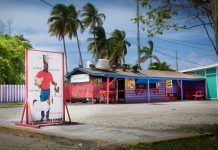 Liberty’s Restaurant has been a mainstay in West Bay since 1980 offering locals – and eventually tourists – an authentic taste of the Caribbean. 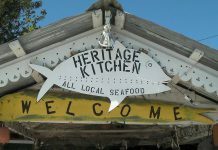 Local Cayman food at it's very best, Heritage Kitchen comes highly recommended. 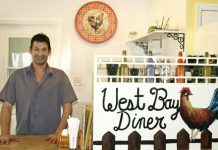 The West Bay Diner, owned and managed by Danny Lamarca, offers a no-frills, no-fuss menu, featuring nine options for all-day breakfast, fresh local delicacies and traditional diner staples. A favorite among locals and visitors alike Grape Tree Café is sure to please your taste buds with delicious Caribbean delights like fried fish and fritters, fried bread fruit and chicharron to name a few. 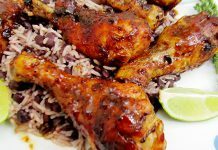 This restaurant serves up a selection of lip-smacking local dishes, such as jerk chicken, oxtail and beans, curry goat and fried fish and festival. Where the food sells itself. Offering standard American breakfast choices all day plus a variety of lunch dishes and daily local specials that can include Jerk Chicken, Jerk Pork, Turtle Stew, Curried Goat, Baked Chicken, Fried Chicken Dinner, Escovitch Talapia and Beef Soup. The locals know Welly’s is the coolest spot to go for lunch, either to eat in to take away. 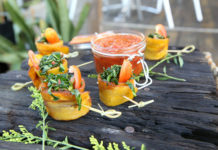 For all your native dishes, try Vivine's Kitchen for a great local dining experience. You shouldn’t judge a book by its cover and you shouldn’t judge Seymour’s Jerk Centre by its appearance – a shed with an attached barbecue grilling area. 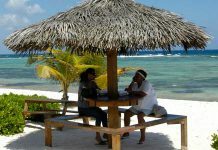 The Rum Point Restaurant enjoys stunning views across the North Sound and a white sandy beach strewn with palm trees and hammocks. Open for breakfast, lunch, and dinner come for the day of diving, have lunch and then finish off the day with cocktails and a fine seafood dinner on the deck at sunset. 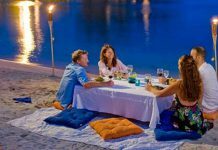 Located in a popular waterfront dining district of Grand Cayman, Osetra Bay offers sophisticated, imaginative world-cuisine in sumptuous surroundings. 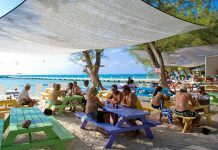 One of the oldest and most popular beach bars and restaurants in Cayman Kai, Grand Cayman, Kaibo Beach Bar and Grill includes a rustic beach bar serving food and drink throughout the day and evening, as well as an upstairs, award-winning open air dining terrace featuring Caribbean-inspired delicacies. If you’re headed to the eastern districts, be sure to stop at Everglo just outside of Bodden Town near Peas Bay.